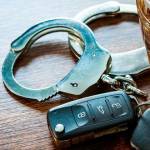 Colorado now has stringent penalties for persons under a separate category, called Persistent Drunk Drivers. 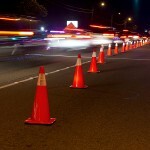 This category includes repeat drunk drivers who have more than one DUI conviction on their part. Apart from repeat offenders, the category also includes motorists who were driving with an excessive amount of alcohol in their blood. For instance, drivers who were arrested with a blood-alcohol concentration of more than .149 at the time of the arrest, or motorists who continue to drive even after they have received a driver’s license suspension for a DUI offense in the past, are all eligible to have an ignition interlock device installed in their vehicles. An ignition interlock device is installed on your vehicle, after you have been convicted of certain types of DUI offenses. You will have to bear the expense of the installation and the maintenance of the device. The device will measure your the alcohol content in your system when you attempt to start the car, and shut the ignition down, if it finds that the alcohol in your system is beyond a certain predetermined limit. Certain types of devices will also continue to continually monitor your alcohol level to ensure that you’re not drinking and operating the vehicle. Most of the ignition interlock devices will provide frequent reports to the Department of Motor Vehicles on your actions. If these reports reveal that you are frequently trying to start your car while intoxicated, then your period of driving with an interlock device will most likely be extended. Make no mistake. Getting an interlock device installed in your car can be expensive. The cost can range from between $800-$1000 per year. You will have to purchase a device from one of the approved providers and keep it in place until told that you are permitted to remove it. Also, you will be required to get the ignition device installed in all of your vehicles, not just the main one that you drive. That includes not just cars that you own, but even those that you co-own, or are allowed to operate. Under Colorado law, if you have been convicted of driving under the influence of alcohol and meet any of the following criteria, you can be required to have an ignition interlock device installed in your car. If this is your first DUI conviction, and if you have been driving with a blood-alcohol content of .15 or higher, you may be required to get the device installed in your vehicle. If you meet this criterion, then you are required to have an interlock device in your car for a period of two years. If this is your second conviction for DUI within a period of five years, then you are subjected to the two-year requirement. The device must be fitted in your car, and must be retained for two years before it can be removed. 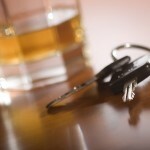 If this is your third conviction for DUI, you will be subjected to the two-year interlock requirement too. If you have been convicted of refusal to submit to an alcohol test for DUI, then you would have to get the device installed, and keep it in your car for a period of two years. Failure to get the ignition interlock device installed in your car is punishable with a penalty. If you fail to drive a vehicle that has been equipped with an ignition interlock device, even after you have been ordered to so, or try to drive a vehicle that has not been equipped device, then you will lose your driver’s license for a period of one year. You will also be required to get the device examined by a licensed professional at least once every two months, and failure to do so will again subject you to a suspension of your driver’s license. It is illegal to attempt to tamper with an ignition interlock device, or to attempt to circumvent the technology anyway. A violation could result in a license revocation. Any decisions related to ignition devices, eligibility and reinstatement, are made by the Colorado Department of Motor Vehicles. In some cases, you may be able to reinstate your driving privileges ahead of time by participating in an ignition interlock program. In Colorado, early reinstatement is only given to drivers who are residents of Colorado, at least 21 years of age, and who have satisfied all other requirements of their sentencing. To determine whether you are eligible for early reinstatement, consult with an experienced Denver criminal defense attorney. Ignition interlock devices help reduce the likelihood that a person with a DUI conviction on his record will go ahead and drive under the influence of alcohol again. A device like this could soon be in the market for bicyclists. The breathalyzer bicycle lock device has been designed by a Japanese cycling supplies manufacturer. The device is called Alcoho-Lock, and is designed to detect alcohol concentration in the user. If the device determines that the alcohol concentration in the person’s system is excessive, it will lock down the bicycle and prevent the person from riding. That’s not all. The device can also be connected to a smart phone app through Bluetooth. The app will send an alert to a friend of the bicyclist, warning him about the person’s drinking. This person can then decide whether to unlock the bicycle lock remotely from home, thereby allowing the bicyclist to ride home in an impaired state, or not. In Colorado, you can be arrested for DUI, even if you are riding a bicycle under the influence of alcohol. The law allows charges to be filed against inebriated bicyclists. Loved ones of a bicyclist may want to invest in an alcohol interlock device to help reduce the risk that their loved one will be arrested for DUI, or be involved in an accident while riding under the influence of alcohol. 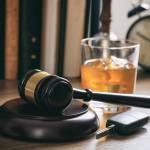 If you are arrested for DUI, speak to a Denver DUI defense attorney about your legal options.